An earlier version of this article was published around the time of the Teaching Course in New York last year. This week I’m talking at the RCEM conference in Leeds and will be touching on the concepts of excellence, mastery and deliberate practice. How do you improve your skills and abilities? Do you practice? Of course you do, but how do you do it? There is a view that great clinicians (or sports stars) are born. That they have innate talents that allow them to lead, to make great decisions and to just understand what’s going on. That they have fantastic ‘talent’ based essentially on luck and genetics. You may also have heard about the 10,000 hour rule, the idea that if you spend enough time doing something you will eventually be fantastic at it. The first argument states that talent is the answer. Some people are supposed to have ‘the gift’ and will just be great. It’s not a very motivating thought though is it. Why would you work hard if you are already fantastic, and are going to be fantastic (Ed – I’ve met some docs like this). This mindset is arguably destructive as it stops people working and prevents people meeting their potential. The second idea is that if you practice enough then you will be fantastic. This of course is also rubbish and reminds me of the old infinite monkey theorem. If you give enough monkeys enough time, and enough typewriters they will eventually randomly write the works of Shakespeare. Now that’s pretty unlikely (likely beyond all the time since the Big Bang) but the point is that you don’t get excellence through randomness and time. To improve then it’s essential to do things differently, to analyse, to improve. Whilst it appears to have face validity the idea that time is enough is clearly rubbish. Think about your own driving (or your partners if you prefer). To get 10,000 hours of practice we would perhaps drive an average of 12 hours a week (not a huge amount) for 52 weeks a year. That means that we would all be experts at the top of our game in about 16 years. Now I learned to drive at the age of 17 and I’m no expert. In fact I’m not that great at all. I’m not being sought by Ferrari for their sports team and I’m unlikely to be in a sports car race anytime soon. It’s not the time that spend, it’s what you do with that time that counts. Matthew Syed talks well about this in the myth of talent and power and if you haven’t read the book it’s worth a read. The lesson here is that talent is not enough. Unstructured practice is not enough. There is more to getting better and achieving mastery than simply talent or time. Deliberate practice is the idea that we can improve and develop by practicing wisely. The key aspects of deliberate practice are repetitive performance of tasks combined with focused assessment, analysis and review. This is not just about repeating and repeating tasks, but rather it requires focused attempts to improve. There are many examples of this in medicine but for me I always go back to music. Good musicians practice deliberately. There is no point simply playing a piece again and again in the hope that it well get better. Time is not enough. Similarly great musicians do not just arrive ready made on the basis of talent. Rather, musicians carefully practice segments and techniques to improve over time. For me I can find examples right back to my youth when I was 13 and I thought I was pretty good as a flautist. I went to a new teacher (George Galway- brother of Sir James) who told me that I had talent but my tone was poor and it needed to improve. So, for 6 months I pretty much stopped playing complete works and focused on playing single notes across the range until each and everyone one sounded great. I spent 3 weeks along on top E (if you’re a flautist you’ll probably know why) This was accompanied by feedback, analysis, experimentation and review. It was really hard work but it was incredibly effective. For me this task typified deliberate practice. Focused exercises, with feedback constantly improving. It was the quality of the practice, guided by a master, that made the difference. A coach, trainer, or educator can play a vital role in helping learners practice well. They can stretch learners, set appropriate tasks and give helpful feedback. It’s the same in sports. Great sports performers get better not on the basis of talent or time but by deliberate and structured practice and we should do the same. Similarly in sport your role as a coach does not mean that you are ‘better’ than the person you are training, a good coach guides the process not by requiring the trainee to emulate them but by nurturing and guiding their practice. Stop and think about how you train and how you try and improve. Are you just awesome (talent) or waiting for time to make you great. If that’s your plan then think again. How are you going to practice, is it going to be random or deliberate practice. We can consider a number of examples, with technical skills being the most obvious. Intubation most readily comes to mind, but let’s take something else challenging. Paediatric cannulation is something that is hard, but you can get better at it and there are people out there who are excellent at it. Consider if that’s just time served or focused practice. Have they done the same thing time and time again or have they worked hard to try new techniques, to evaluate, reflect, adapt and the incoporate or reject. I argue strongly that it is the latter. Next time you watch an expert do something stop and ask yourself why that is. Really look and listen to what happens and then ask them about it. Why do they do the things that they do? Can we articulate expertise well? It can be hard to define mastery and it can be tough to teach mastery. In the example of paeds cannulation given above we might watch and listen to a master and pick up some tips and tricks on what to do, but simply copying these will not be enough. This concept was best articulated by Greg Ashman who’s an education academic from Australia (non medic) in this graphic (Greg previously gave permission to share this). Finally, the idea of deliberate practice and moving towards excellence links to us becoming masters and experts. Listen to Cliff Reid on getting to the cutting edge. Listening to Cliff it’s clear that we can do better in the limited time we have for training we can deliver effortless learning. 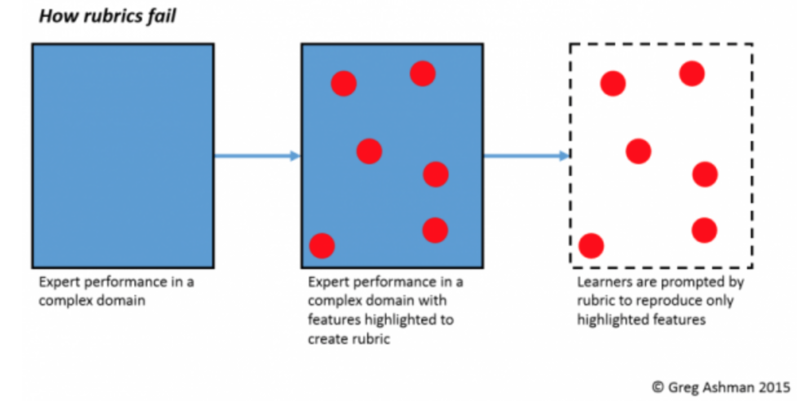 Why does deliberate learning matter? We have limited time to learn and many of the essential skills of an emergency physician are quite rare events in clinical practice (e.g. difficult airways). We can’t rely on talent or time. 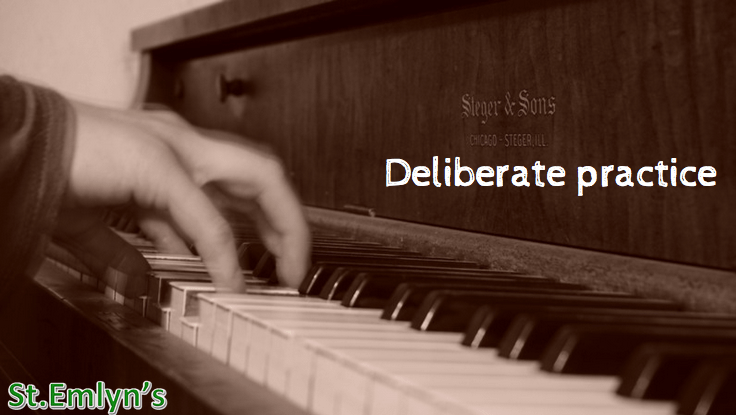 We need to embrace the principles of deliberate practice. Further reading (HT to Cliff Reid and Scott Weingart for links from their websites). Another inciteful post Simon and I hope I am somewhere close to doing it, deliberate learning that is. I am finally getting round to doing the FRCEM and recently sat the CA. Whilst my kids, 2: aged 4 and 6, adorable, one with a recently broken arm, and high maintenance as ever, have long been the excuse I’ve used to NOT work, be a mum, and sit the exams they do help focus the mind…. Ie when you have a spare hour or less (!) I really have to think how best can I use this precious time to improve my knowledge / technique and (hopefully) pass the exam. I have definitely condensed and better planned my revision time, and it hopefully has and will pay off. For all ED Mum’s out there, good luck, well done and carry on!